U.S. Army Sgt. 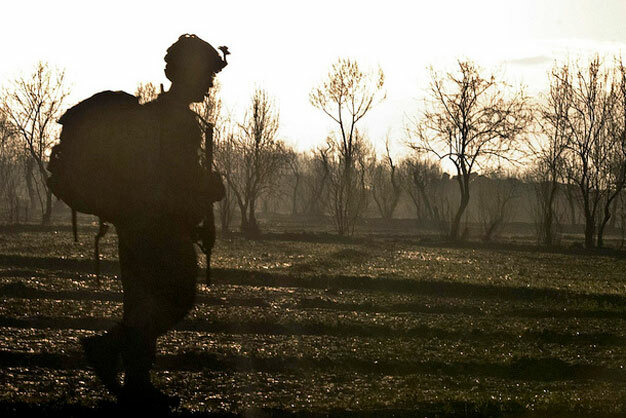 1st Class Gabriel W. Temples, a platoon sergeant assigned to Company D, 2nd Battalion, 30th Infantry Regiment, 4th Infantry Brigade Combat Team, 10th Mountain Division, Task Force Storm, navigates the swamp-like farmland after air assaulting into Baraki Barak District, Afghanistan, April 17. Photo via US Army.